If you would like to come sailing on Pilgrim of Brixham then take a look at our Sailing Programme and see what suits you best. There’s plenty to choose from whatever you have in mind. 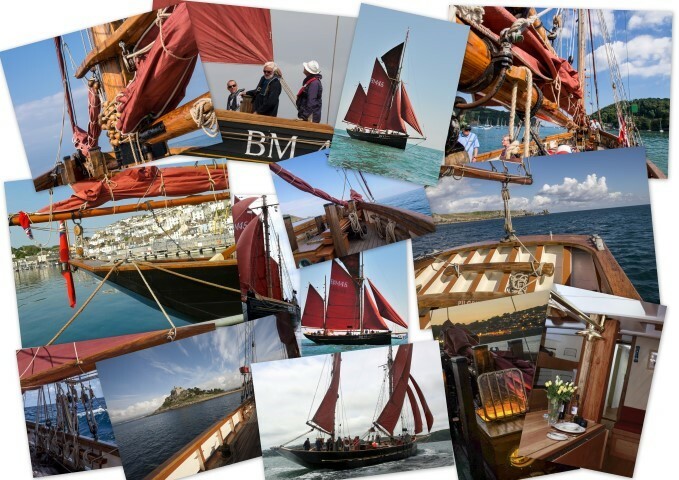 Pilgrim offers day sails in delightful Torbay on the Englsih Riviera; weekend cruises to historic Dartmouth; short breaks and summer holidays in Devon, Cornwall and the sensational Isles of Scilly; and we’re sailing across to Brittany in 2019 for the amazing Paimpol Maritime Festival. Our Sailing Programme has something for everyone but don’t take too long in choosing as many of our cruises get booked up really quickly. † = may visit Dorset, Devon, Cornwall, Channel Islands and/or Brittany, France – passport may be required. The actual passages will reflect the wishes of guests and the weather and tidal conditions at the time and as ever will be ‘Skipper’s Discretion’.